New cultural performances during periods of polo play for this year include The Phoenix Symphony (showcasing Mozart), Phoenix Theatre with some of the great Broadway musical songs of all time, bagpipes performance by Ford Dudley, Phoenix Opera, and the Phoenix Boys Choir. Collectively and individually the performances to the backdrop of the day’s polo matches are some of the most beautiful moments in American sport. We have new DJ-infused party tents courtesy of the Scottsdale-based Riot Hospitality Group including Dierks Bentley’s Whiskey Row, El Hefe and Riot House. Are you a sports fan and don’t want to miss out on all the action? Also launching at this years’ event is Hall Pass, the country’s most unusual pop-up sports bar allowing sports fans to enjoy football and other games on televisions throughout the day. An event first and the “World’s Farthest Rugby Sevens Match” is taking place led by Arizona State University’s rugby team. Watch amazing rugby action played on what may be the longest field ever utilized for a rugby sevens match, nearly two and half times longer than normal. 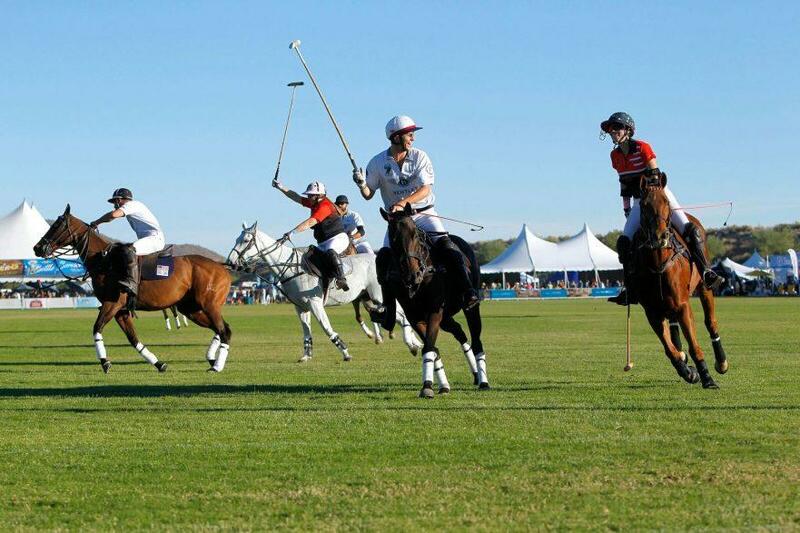 The match will take place at a to be determined time on Saturday, between polo action. An all-new horsepower element to debut this year is The Apex Cup, courtesy of the landmark new Apex Motor Club in Maricopa, Arizona, a country club for car enthusiasts. The Apex Cup will recognize the top cars on site which will include collector cars courtesy of Barrett-Jackson, Ferrari Club of Arizona, Porsche Club, Scottsdale Corvette Club, Arizona Classic Thunderbird Club, AZ Lamborghini Club, Corvette Club of America, as well as cars of Apex members and dozens of other Arizona car owners. Check out the all-new F.A.B .Tent, standing for fashion, art and beauty, featuring a pop-up art gallery by the Scottsdale-based Larsen Art Gallery and Auction, sideline pedicures by the Talking Stick Resort Spa, fashion displays by Evan’s Furs and LoveOverH8, a socially conscious clothing line by local resident Cheryl Najafi and more. Do you consider yourself a beer connoisseur? This year at the Bentley Scottsdale Polo Championships we will be launching the brand new “Polo Party Pilsner” being brewed and debuted in coordination with an Arizona craft brewer. More details to come but it will be as unique as our event! All tickets, tables and tailgating for the 2018 event are now on sale at ThePoloParty.com. Or for group sales please call 480.423.1414. Some categories have already sold out! Sponsor and vendor questions should be sent to info@thepoloparty.com. New this year is the Polo Party Directory. Interested businesses may apply for a listing on the event’s website as a recommended business. The cost is $250 annually if accepted with a listing alongside event sponsors and vendors. For anyone interested in advertising in the event program produced by Russ Lyon Sotheby’s International Realty, distributed to approximately 60,000 high-end households before and at the event, please contact Mandy McGee at 480.423.1414 or info@thepoloparty.com.